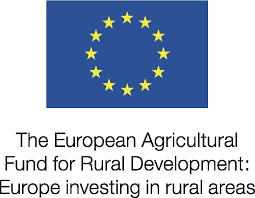 £12.4 million of European Agricultural Fund for Rural Development (EAFRD) funding is now available to support projects that increase rural jobs, growth and productivity in the Heart of the South West. Rural businesses and organisations can now apply to the Rural Payments Agency (RPA) for grants through the Rural Development Programme for England (RDPE) Growth Programme. £2,784,740 for ‘Rural Business Development Grants’ – Farm businesses diversifying into non-agricultural activity and new or existing micro and small businesses (including social enterprises) in rural areas can apply for capital grants between £35,000 and £170,000 to support business start-up or expansion. £7,540,000 for ‘Food Processing Grants’ – New or existing food and drink processing businesses (including farm businesses diversifying into food and drink processing) can apply for capital grants from £35,000 to support business start-up or expansion. £2,088,555 for ‘Rural Tourism Infrastructure’ –Rural businesses, farmers, landowners, charities and public bodies can apply for capital grants from £35,000 for projects that improve the local rural tourism offer by delivering new or enhanced rural tourism assets and infrastructure. There is a competitive and two-stage application process, comprising an expression of interest and a full application. Match-funding is also required. Further details of funding opportunities and how to apply are available here. The Heart of the South West is one of the most rural LEP areas in the country, with 91% of its land area classified as rural. The business population spans both the rural and urban environment on a roughly 50:50 basis. “The LEP welcomes these new funding opportunities, through the Rural Development Programme for England, for projects that support rural jobs, growth and productivity. We have worked with the Rural Payments Agency to bring forward these new funding opportunities so are now delighted to be able to call for applicants. “The rural economy is of great importance to the Heart of the South West, and part of our Strategic Economic Plan is to build on our distinctive assets which are partly attributed to our rural aspects. For projects with a funding agreement in place prior to the UK’s exit from the EU, funding will be guaranteed by Her Majesty’s Treasury even if projects continue beyond the UK’s departure from the EU.